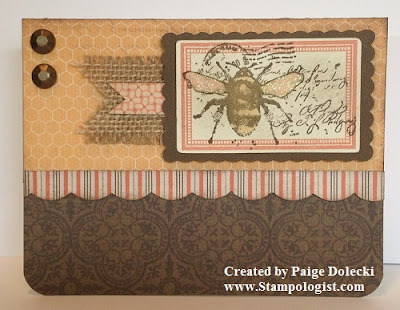 Here is a sweet little bee card made with our Buzz and Bumble paper pack and our $6.95 A sized Quick Card Bumble Bee stamp set. If you look at the actual stamp image below you'll notice I didn't use the sentiment that is attached to the stamp. 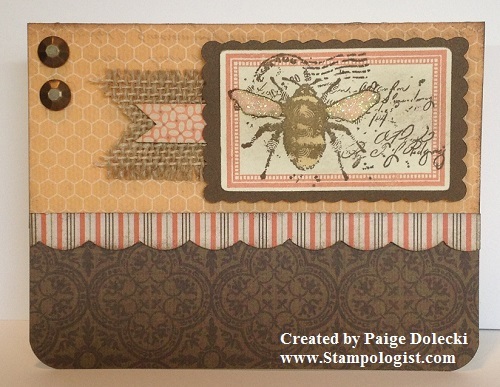 Hold your breath and get ready for this - I sometimes CUT my stamps APART. Eeek - I know. 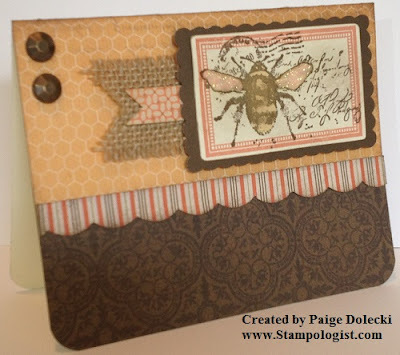 It does feel somewhat "naughty" when I do it but I use a pair of our extra sharp microtip scissors and make sure its a stamp that can be cut easily with space between pieces. Sometimes I just know I'll use a stamp more if its separated than if all the pieces are together. I'm entering this in our Heart2Heart Creature Feature challenge this week as a bonus submission! 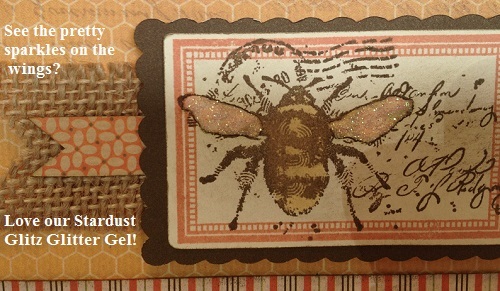 You have all month to submit for our challenges so make sure you get your critters out and get stamping! Very elegant card. Love the sparkly wings.